The farm is a great destination for the families and students that visit Blandford. 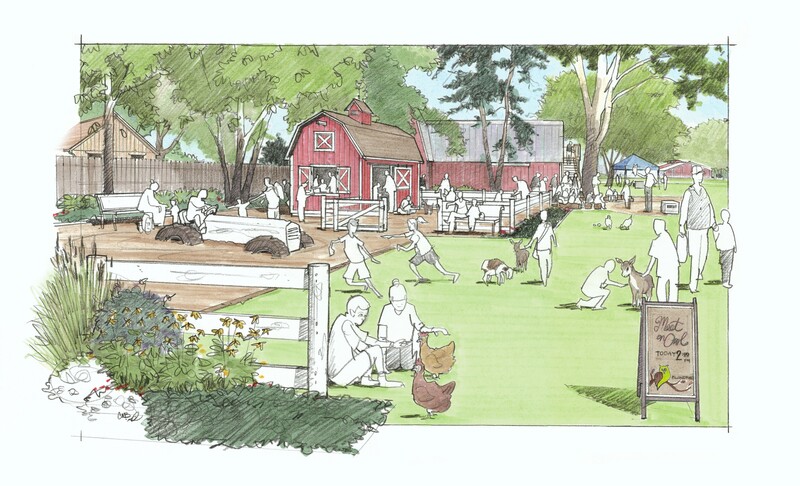 We’d like to make it even more inviting by upgrading our existing playscape to include a barn playhouse, as shown in the rendering above. This is a project that is not in our operational budget, costs just $5,000, but will make a significant impact for our guests. The Diamond in the Rough game is simple: choose to donate $25, $50, $100, $150, or $250 and pick a square on the big board that matches your donation amount. As we remove those squares, a piece of the puzzle is revealed. When all the squares are removed and the photo is revealed, the funding goal has been met! Bonus: cool prizes await behind some of the squares! The playhouse is being built by Out on a Limb Construction based in Grand Haven, MI at cost. If you have resources for this project and you’d like to help, please reach out to Corey Turner, Director of Development at corey@blandfordnaturecenter.org. Supplies like lumber, roofing shingles, hardware, etc. are welcome and can help us make the project budget stretch even further!